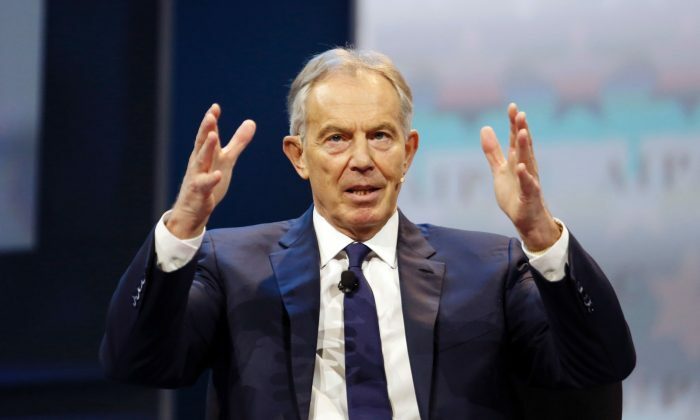 BIRMINGHAM, England—Former Prime Minister Tony Blair is controversially wading back into frontline British politics, 20 years after he claimed power for the Labour Party. Blair believes Labour has been captured by the far left and that only a centrist movement can hold back the political tide behind Brexit, the United Kingdom’s exit from the European Union. Blair’s intervention, one month before a general election, underscores how Brexit has turned British politics upside down. On May 7, polls on voter intentions saw the Labour Party preferred by 28 percent of potential voters while the Conservative Party was the choice of 47 percent. The former prime minister has not put himself forward as a candidate, but rather is positioning himself as a linchpin of a broader centrist movement pushing for change beyond the election. Some commentators suggest Blair could wield influence in similar way to Nigel Farage, the former leader of the U.K. Independence Party (UKIP). 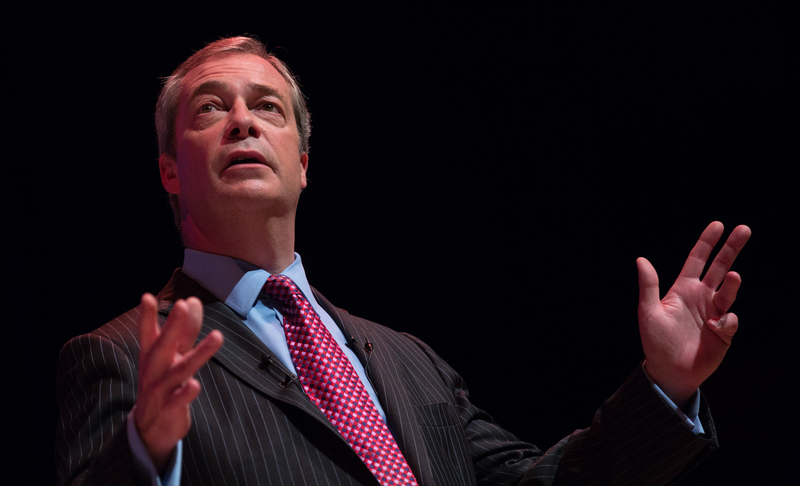 Farage has never been a member of Parliament, and UKIP held only one seat in Parliament, yet its popularity forced the government to hold the referendum that led to Brexit. Since Britain voted to leave the EU, Blair has increasingly voiced his belief that Brexit is reversible. “All I say to you is [the Brexit vote] was 52 percent to 48 percent, and you only need one in about 15 of those who voted Leave to change their minds,” he said, on a transcript on his official website. 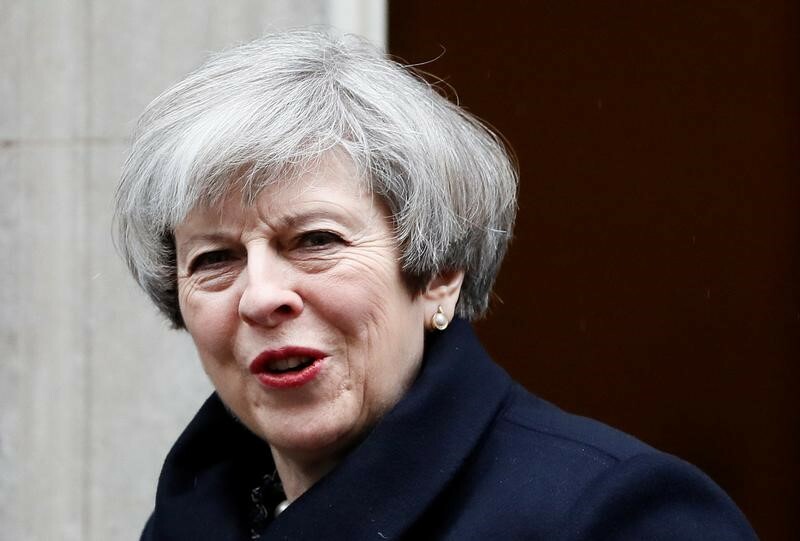 Conservative Prime Minister Theresa May called for a “snap” election on June 8, three years ahead of schedule, with polls showing her party is almost twice as popular as the Labour Party. With the nation split over Brexit, some hoped the Labour Party would peg its election campaign to a second referendum on the final Brexit deal with the EU. However, with Brexit cutting across party lines, this has been ruled out. “A second referendum is not our policy and it won’t be in our manifesto,” reads a Labour Party statement. Blair’s political reputation was damaged after he led the U.K. into the Iraq War in response to inaccurate intelligence that Iraqi strongman Saddam Hussein was developing weapons of mass destruction. Blair is also derided for rejecting EU immigration controls and instead allowing 423,000 immigrants from eight new EU member states into the U.K. over a decade. Blair believes that the current wave of so-called populism is driven by the speed and scale of change under globalization. But he warns that the far left cannot capture the support of those who have turned to more nationalist movements across Europe. Blair has also made it clear that Labour cannot win the general election. Local elections in the U.K. on May 4 revealed a broader pattern that pollsters predict will be repeated in parliamentary elections: the Conservative Party surging at the cost of the Labour Party and almost wiping out the UKIP.